-Last updated: 4/4/ 2019 at 10:00 a.m. Hint: click on group name to go to their home page for more information. April 11, 2019 - Spokane Stitch & Witch - Monthly Social - We are a Pagan and, Pagan friendly group for those who stitch! If you sew, knit, crochet, spin, or some other craft you are welcome to join us! Mostly we are sewing, knitting, and crochet, Family-friendly! ​April 12, 2019 - Buffalo Trace Society - Journey to Three Worlds - Guided Meditative Event - What are they? How do we get there? What do they mean to us? What can we bring back from each of these worlds to benefit us in today’s life? A workshop presented by Grandmother Fireheart. $45 fee. April 14, 2019 - Squirrelly Productions - Dream Dabbling - Ever wonder what your dreams mean? Do you feel like you're missing the point? Well, come join SoNGS's Dream Dabbling, where we discuss, share, and interpret our dreams (and you can, too). We encourage you to write down your dreams and the emotions you experienced during them for group discussion and interpretation. as presented in "...feraid cath fri clannaib Nemid..." and Cath Maige Tuired Cunga. These manuscripts expand upon the Nemedians and the First Battle of Magh Turedh. We will expand upon the life and times of Tailtiu, the Fir Bolg Queen. April 28,2019 - Squirrelly Productions - Burning Man - Join Squirrelly in Welcoming Spring with our Wishing Willow, Maypole, Ritual and of course, the Burning Man! Family Friendly. Bring a potuck item. April 20, 2019 - Buffalo Trace Society - Frogs Return Full Moon - This is a Spring moon cycle, the Frogs Return Moon and recognizes the rapid change with Earth Mother. We will be inside if the weather requires, outside if possible. Friends, family and well behaved children are welcome. Please bring drums and rattles if you are so moved and enjoy this moment with us. Location 6:00 p.m 2210 N. Long Rd., Greenacres, WA. 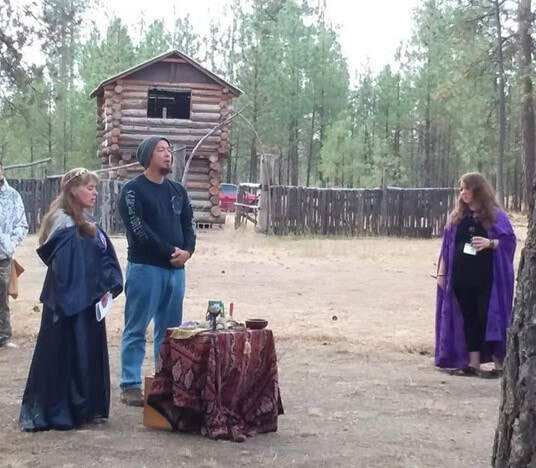 May 5, 2019 - Squirrelly Productions - Talking Pagan - Celebrate the Festival of the Earth Spirits with Us! May 9, 2019 - Spokane Stitch & Witch - Monthly Social - We are a Pagan and, Pagan friendly group for those who stitch! If you sew, knit, crochet, spin, or some other craft you are welcome to join us! Mostly we are sewing, knitting, and crochet, Family-friendly! May 11, 2019 - Community Beltane! - join the local Pagan Groups at our Beltane celebration! Classes, workshops, displays, vendors, ritual and a Maypole. Family friendly. lease bring a potluck item. (Local groups donating hamburgers and hot dogs.) $5 donation to help pay for park rental requested. May 19, 2019 - Squirrelly Productions - Dream Dabbling - Ever wonder what your dreams mean? Do you feel like you're missing the point? Well, come join SoNGS's Dream Dabbling, where we discuss, share, and interpret our dreams (and you can, too). We encourage you to write down your dreams and the emotions you experienced during them for group discussion and interpretation. Squirrelly Productions Testival of Tailtiu Ritual - The Cinquefoil, a symbol of abundance. Jewelry, Needlework and bedwork for sale. ​Family friendly - Sponsors providing hamburger and hot dogs. ​If you are interested in helping out, please use the Contact US form in the drop down menu and we will get back to you with details as they develop. Vendors welcome! citizens of the world. In order to foster these skills, we believe that the children should make as many of the decisions as possible when it comes to the activities they do and how Spiral Scouts works for them. Adult leaders should facilitate this process, not dictate it. Sha Lee Schilthuis‎, has created a Facebook page, Inland Empire Pagan Parents, for those interested in joining her and her children in forming a Spiral Scouts circle. If you have children and are interested in starting a troop with her let her know! 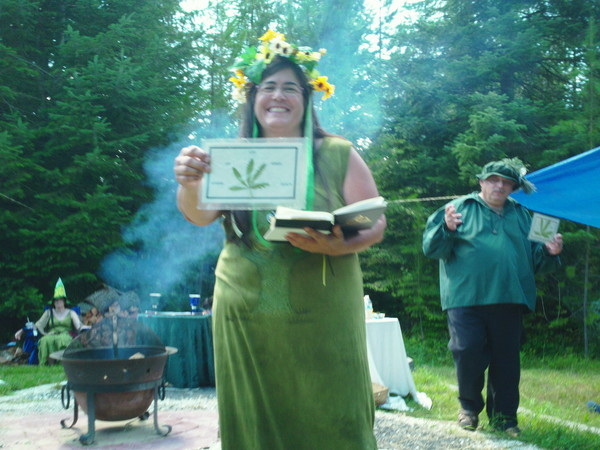 She would love to connect with other Pagan families in the area! In our recent sigil workshop with Laura Tempest Zarkoff, members of some of the local groups and a fair number of solitaries worked with Laura to create a sigil representing our community. The object of the sigil is to help create a sense of community among the groups and solitaries of Eastern Washington and North Idaho. Since that time, we have presented the sigil to many of the groups that were not present, and everyone seems to love it! 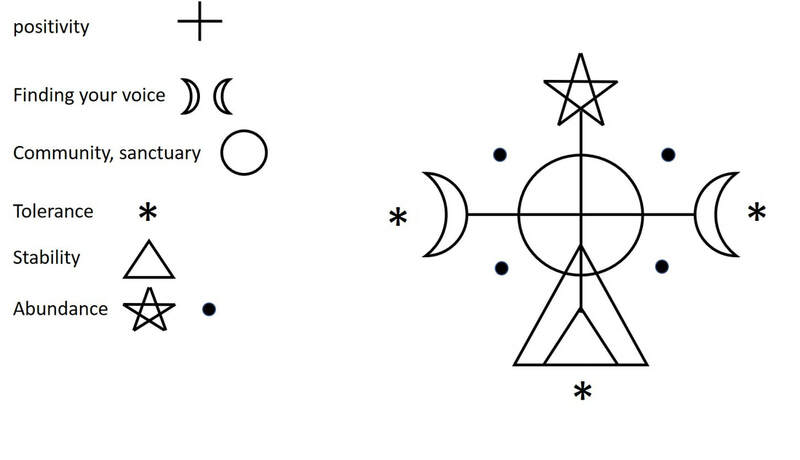 Below is the sigil and the meanings of the components. Hope you like it too! 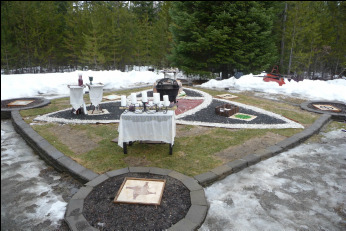 Children of the Crossroads is a local Wiccan coven dedicated to Hecate and Pan. They have started a neat project on YouTube called Witches and Wine. You can follow their discussions on YouTube or link through their Facebook page. Reposted from ﻿﻿Kylara's Musings, July 20, 2016, used with permission. Ritual comes in all shapes and sizes. We can do ritual by ourselves, with our family, with our social group, with the larger community or (with the many digital options) with people across the globe! And yet I think there are some qualities that make rituals great that are often overlooked. It is lovely to attend a ritual where everything goes smoothly, where everyone who has a part plays it perfectly, and where the group meshes together towards the common focus seamlessly. And yet, I absolutely don't feel that is necessary to have a great ritual. I've been to quite a few rituals where a lot has gone 'wrong', but I walked away deeply moved and had a great time. So what is the purpose of ritual? I think that rituals can have many different goals, but ultimately they all help renew us. They touch a part of us deep inside, that connects to the sacredness of life, and help us to keep that spark nourished and healthy! Even when the ritual is exploring our darker aspects or perhaps it is a light and humorous ritual that encourages silly play, both can replenish our inner resources that get drained through the stresses and activities of life. I think one of the very basic 'rules' of ritual is that it is a safe place. Everyone at the ritual should feel that they are safe, not only on a purely physical level, but also on an emotional one. This isn't to say that deep and serious topics can not be touched, but simply that the other people at the ritual are there to support you and not to tear you down. It can not be a great ritual if people are mocking or judging others, especially when sharing personal details. Sometimes we forget the things we say. Sometimes we forget how we say them. Sometimes we say whatever we want because we have the right. But when was the last time you reflected on the words you say? When was the last time you thought about how your words affect those around you? As witches, everything we say has impact. As people, everything we say has an impact.Words have Power. Real tangible power. Look at the news. Listen to the radio. Watch videos online. All of these sources have words flying out into the universe waiting to be empowered by the reactions and emotions of the ones who hear them. I say a word and feeling is attached to it. Slanderous words, created to be harmful, have power. Affirmations are designed to combat, and strike down, negativity with personal power and fulfillment. All of these words have an impact. .Note: Village Commons is always looking for content. If you would like to contribute, contact us. So what does a volcano in a dream mean? It is usually associated with a conflict scenario. Dreams about earth-based dangers like volcanoes (or tsunamis, earthquakes, etc.) generally point to inner turmoil or emotional conflict in the dreamer's world. It is a warning from your subconscious that there is something going on in your waking life that needs your attention: a conflict that must be resolved. The volcano represents strong emotions held in check but bubbling just beneath the surface, ready to erupt. The usual emotion being held in check is anger: usually it is the anger the dreamer is bottling up, but it could be fear of someone else’s anger. The Village Commons has assembled a list of pagan-owned and pagan-friendly businesses. Check it out! If you have a pagan-owned or pagan-friendly business, or service, contact us to be included!